This is basically a recipe of chocolate fudge sauce that is absolutely full of awesomeness and yumminess!! I can eat spoonfuls but then I am seriously addicted to chocolate, but on a serious note you are going to love it. 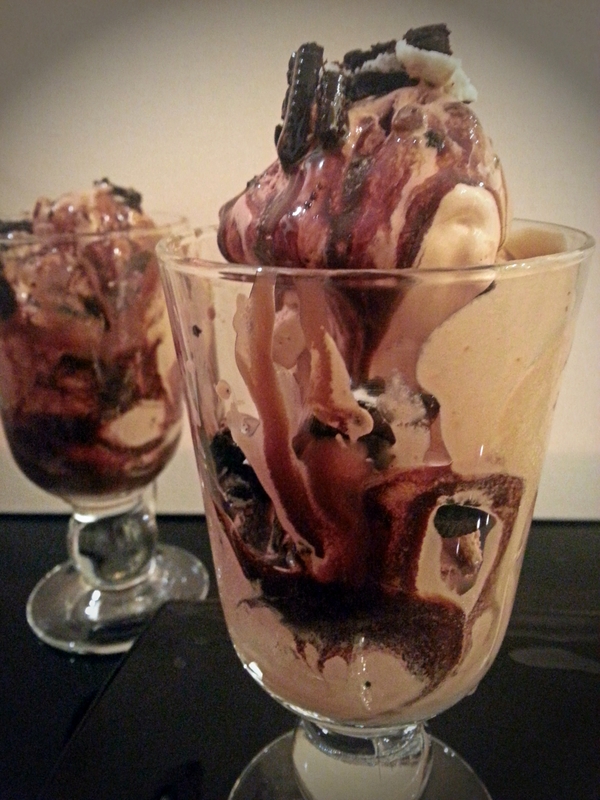 Anyhow ice-cream with chocolate sauce is a combination made in heaven and the chunks of Oreo biscuit just add to the divine wickedness of it all! According to the recipe it makes quite a lot of chocolate sauce, but, in a household of crazy chocoholics, it is never a problem. Store it in an airtight jar in the refrigerator and this sauce will keep for months simply reheat before use. This chocolate fudge sauce recipe is for keeps. To make the chocolate fudge sauce, place all the ingredients apart from vanilla extract in a saucepan with 225ml water and bring it to a boil, stirring constantly. Boil for about 5 minutes or until slightly thickened , using a whisk at first to break up any lumps of flour. Remove from heat and stir in the vanilla extract. 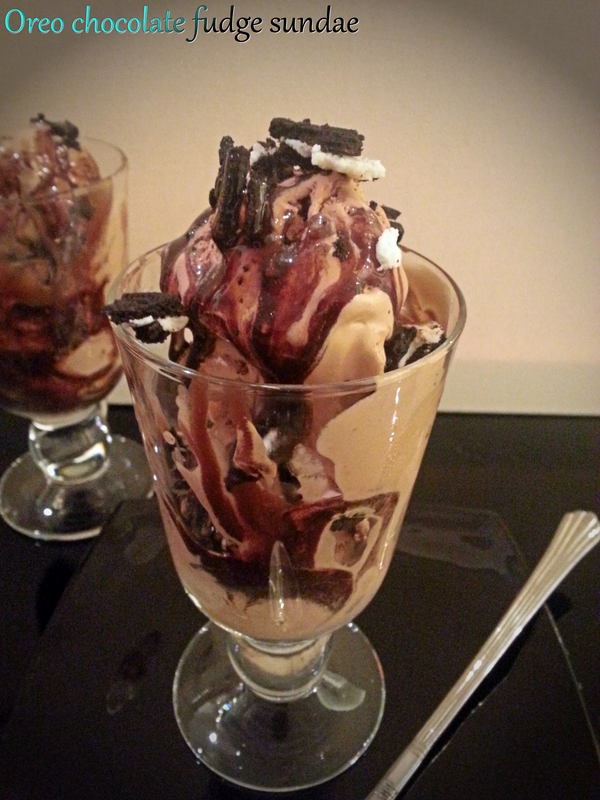 To make each sundae, place half the Oreo biscuit piece in the bottom of your glass or bowl then add a scoop of ice cream, then add most of your remaining biscuit pieces, followed by remaining scoop of ice cream. Pour over the hot chocolate fudge sauce and crumble over the rest of the biscuit pieces.